Does my child have to be in active treatment to attend? There is no requirement for a child to be in active treatment. Each camp location determines how spots are filled should there be more applicants than spaces available at camp. This is determined on the local camp level. Please contact your local camp for more specific information. Does a child have to be within a certain age range? Usually, our campers are ages 4-17. Certain events may have different age requirements, like teen weekends. Check with your local camp for more specific information. How will my child’s medical needs be met at camp? We provide 24 hour medical care at all overnight camps where parents are not present. All camps have a doctor on call or on grounds for the entire week. How do you select and train staff? Staff must consent to a background check, complete volunteer training and orientation, complete a reference check, and be interviewed. Camp Quality meets all requirements of our insurance company and the individual state where the camp is located. What will in cost for my child to attend camp? You will incur no other costs than those associated with transportation to and from camp or the designated drop off location for camp. This includes other year round activities. We raise money throughout the year that allow us to operate at no charge to you. Does Camp Quality hold any accreditation? Camp Quality is a Children’s Oncology Camping Association Gold Ribbon Camp. Who is invited to your family camps? Specifics are determined by the local camp, but usually campers and their immediate family members are invited. Our food service staff at each camp will accommodate whatever dietary needs your child may have. Do you also accept Hematology patients? Acceptance of any camper, including hematology patients, is at the discretion of the local camp and will be determined on a case by case basis. How do I register my child for summer camp and additional programs? Summer camp registration is usually available on the local camp’s website at the beginning of February each year. Additional programs may also require registration on line. What are the requirements to volunteer at Camp Quality? You must complete an online application, be interviewed, complete a reference check, submit to and pass a background check, and attend volunteer training and orientation. Most volunteers must be 18 years or older, but individual camps may accept volunteers for certain roles age 16 or older. Please check with the local camp to see if these opportunities exist. All volunteers are required to be up to date with immunizations to include Tdap/dTap, Varicella, and MMR. Requirements are listed in our online application and proof of vaccine or immunity is required. What if I can’t attend training? You are required to attend training in person for your first year of volunteering. However, you may attend any training offered around the country. After your initial year, local camps may offer an online training option. Do I have to be available for the entire week? Generally, you are expected to be there the entire week. Other volunteer roles maybe available at your local camp that would provide more flexibility. Check with your local camp for these opportunities. What if I can’t attend camp but want to help? Each local camp has a unique set of needs when it comes to volunteers. Check with your local camp to see what volunteer opportunities are available. Summer camp applications are usually available online around the beginning of February. Absolutely! Click the donate button on the Camp Quality USA page or on a local camp page to direct your funds as desired! Recurring donations may be set up using this option as well. I would rather not use a credit card; can I mail a check? Of course! Donations to Camp Quality USA can be sent to 540 Hampton Ridge Dr., Akron, OH 44313. If you’re looking to donate to a local camp, check the local camp page for their mailing address. How do I know that Camp Quality is acting responsibly with my donation? 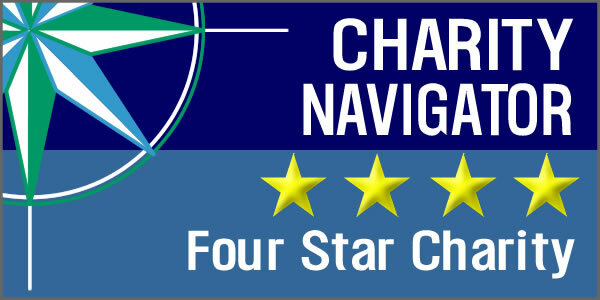 Check out our Charity Navigator four star Camp Quality Rating. Our annual financials are also available for review on our website. Camp Quality USA is a 501(c)(3) organization and donations are generally deductible. Check with your tax professional. What if I want to make my donation anonymously? Camp Quality USA respects your privacy as a donor. We will not share your personal information with other organizations or send information on their behalf. We do publish donors in various formats online and in print. Should you want your donation to remain anonymous, just ask! We will honor your request. I’d prefer not to make a monetary donation. How do I go about making an in-kind donation? Many of our local camps have wish lists. You may contact your local camp or check for an Amazon Wish List to determine needs. How can I make a matching donation? Many employers will match charitable contributions. Please check with your employer to see if they match donations. Can I make my donation in honor or memory of someone? Of course! If you make your donation online, you can provide this information on the online form. If you’re mailing your donation, please indicate your dedication in the memo of the check or on a separate piece of paper. How can I fund raise for Camp Quality? You are always welcome to join in our local peer-to-peer fundraising campaigns by creating your own fundraising page. In addition, you may hold an event as a third party. Please contact your local camp for third party fundraising guidelines and procedures.